At Yogabean we believe the whole family should be able to enjoy yoga! That’s why we’re holding a family yoga event on Saturday the 22nd of October. The event will be held from 12-12.50pm at Radiant Sol Yoga (325 Bay St, Port Melbourne). There are so many distractions in our digital age that we rarely have opportunities to come together as a family and truly take a moment to appreciate one another’s company. When was the last time you made time for family bonding? How do you manage to keep everyone interested? Our very own Alex Atkins will be leading the class. Alex has been practising yoga for over 10 years and can’t wait to salute to the sun with you all. Kicking Saturday off with yoga will help you to enjoy the rest of the weekend even more and allow you to slow down and be present for a moment. Alex is an expert in both kids yoga and adults yoga so the class will be designed to keep everyone engaged and interested. Between work, meals, school, sports games, laundry, birthday parties and a seemingly endless list of other activities, it’s not unusual to feel a little disconnected. Yoga has been proven to be physically, mentally and emotionally beneficial for all ages. Any healthy activity that families can do together away from their screen today is a blessing. 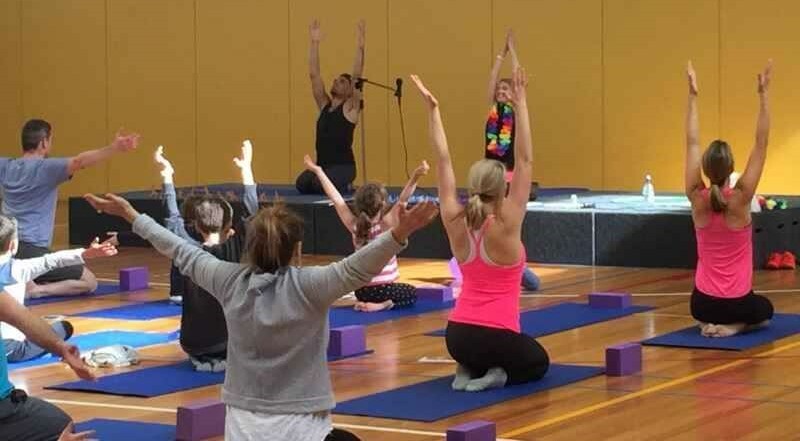 For children, yoga is a perfect avenue to learn mindfulness skills which are important tools for living with a greater sense of happiness and peace. Relax and enjoy each others company in a way that is much more engaging and interactive than sitting in front of a TV screen or staring down at our phones. The classes will be a combination of both challenging and fun and we will create an accepting and welcoming environment for all. Book in here for a great class followed by some healthy treats. See you there!